An All-Ireland environmental NGO coalition is in Brussels this week to voice concerns over the impact Brexit may have on cross-border cooperation to protect the environment. As the fourth round of Brexit negotiations get underway, representatives from the Environmental Pillar and Northern Ireland Environmental Link are set to meet with high-level European representatives over the next 48 hours. The coalition will highlight what they see as the key environmental challenges posed by Brexit in meeting with MEPs from the European Parliament’s Brexit Steering Committee and the Commission’s Article 50 negotiations team. The coalition is keen to stress the “crucial role” that cross-border cooperation plays in addressing issues such as biodiversity loss and climate change across the whole island of Ireland. 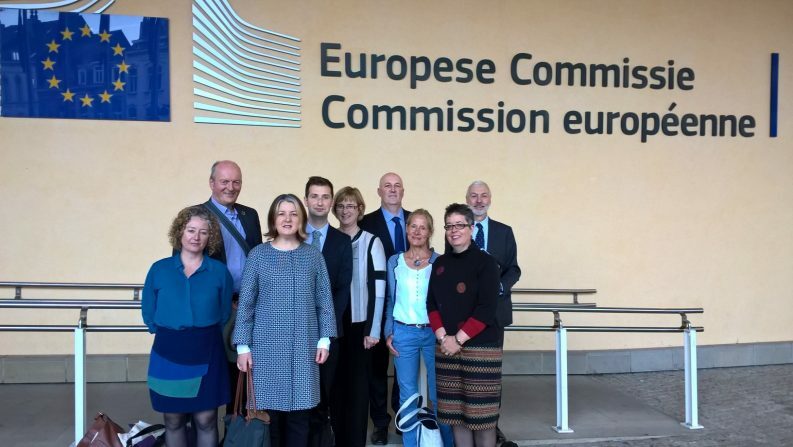 Environmental Pillar coordinator, Michael Ewing, said that the visit to Brussels gives the coalition “the perfect chance to highlight the challenges Brexit brings for environmental protection and to articulate how these issues can be averted through continued cross-border cooperation”. “It is crucial that the island of Ireland and its surrounding waters are considered as a single bio-geographic unit and mechanisms exist to effectively manage cross-border environmental issues post-Brexit,” he added. According to the coalition, the adoption of common standards across the island have resulted in a “more coordinated and consistent approach” to addressing cross-border environmental issues such as the conservation of species and habitats on an all-island basis. The vast majority of Annex 1 bird species on the island of Ireland as listed under the EU Birds Directive occur on both sides of the border. For example, 90 per cent of the Canadian Flyway population of Light-bellied Brent Geese visit the island of Ireland each year. With one in five species are currently threatened with extinction from the island of Ireland, Chair of Northern Ireland Environment Link, Patrick Casement, warned that “any dilution of protection will place them in further danger”. He added that the lowering of standards on either side of the border would not only be bad for the environment and citizens, but also for business. “It is estimated that Europe’s network of protected nature sites currently provides economic benefits of €200 to €300 billion per year” he said. The coalition will also point to the potential weakening of legislative protection in the North as perhaps the single greatest environmental risk posed by Brexit. There are currently over 650 pieces of EU legislation in place that act as the principal drivers of environmental protection in both the Republic of Ireland and Northern Ireland. Both the British and Irish governments have a long history of failing to comply with their environmental obligations, with numerous cases currently before the European Court of Justice (ECJ). Without formal oversight by the European Commission and the ECJ, a significant “governance gap” could open up in the system of environmental law enforcement in Northern Ireland, the coalition warned. In order to counteract this, the coalition is calling for equally robust enforcement mechanisms to be in place on both sides of the border post-Brexit. A conference was held in Dundalk earlier this year to discuss Brexit’s potential impact on the Irish environment and to explore opportunities for new ways of working together on cross-border issues. MEPs, legal experts and environmental groups outlined the potential weakening of legislative protection for nature as the single greatest environmental risk posed by Brexit. Delegates at the conference particularly emphasised the importance of ensuring equivalency in environmental standards north and south of the Border.